This might be the most bonkers transfer story you'll read this year, but it comes from a football journalist with well-placed sources. Diego Torres wrote The Special One: The Dark Side of José Mourinho, which covers Mourinho's time at Real Madrid and contains in-depth details from behind the scenes at the club. The current Manchester United manager dismissed the book as a piece of fiction, but Torres evidently received much of his information from sources close to the Madrid first-team. The Spanish journalist also appears to have sources close to Paris Saint-Germain, and has a very interesting report in El Pais newspaper. Torres writes that Neymar is "jealous" of wonderkid Kylian Mbappe, and would like to see the club swap his rival for Philippe Coutinho, who joined Barcelona for £142m last month. Mbappe is currently on loan with PSG from Monaco, and will join the Qatari club on a permanent deal for £166m in the summer. 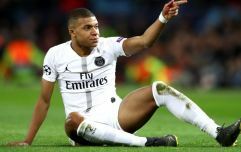 The PSG hierarchy are considering "the possibility of transferring Kylian Mbappe next summer (2019)" as a way to appease Neymar, who is said to be threatened by the presence of the 19-year-old French forward. 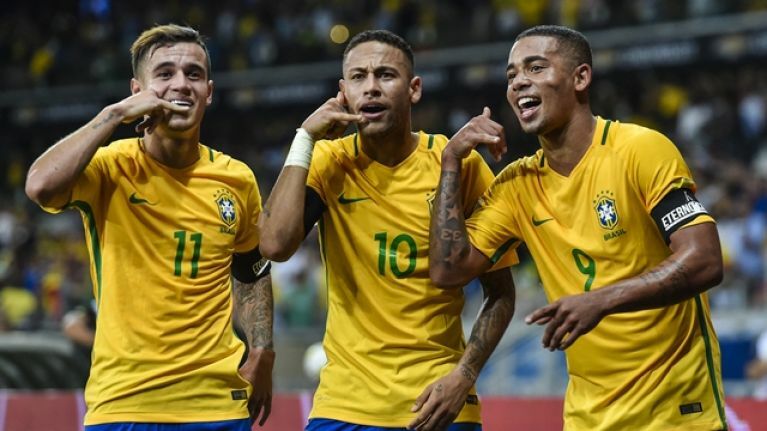 The Brazilian "does not feel comfortable with his attack partner", and while PSG don't want to lose either player, their priority is to keep Neymar happy. A source close to the Qatari club proposed an elaborate transfer to Nasser Al-Khelaifi, PSG's club president - "This official proposed a double-effect manoeuvre: offering Mbappe to Barça in exchange for money and Coutinho, whom Neymar calls 'brother' and happens to be his best friend in football." Mbappe was "naive and ignorant" of the "jealously he provoked in Neymar" until recently. "A voice warns him from the dressing room of Paris: 'Ney fears that Mbappe will shade him in the fight for the Golden Ball (Ballon d'Or)'." Neymar has, according to Torres, stopped passing the ball to Mbappe in matches unless absolutely necessary, and Dani Alves, Neymar's friend, has done likewise. Mbappe has not been unwilling to bend the knee and accept Neymar's status as the undisputed star of the team. He continues to demand players pass to him, and hasn't let Neymar's "jealously" get to him. "He understands that if Neymar denounces him for insubordination, Al-Khelaifi will side with his adversary. But, at the moment, it does not change." Torres claims that Manchester City would be interested in signing Mbappe if PSG are prepared to sell in 2019, but Neymar would prefer a swap deal for his friend Coutinho. Of course, we should take such a report with a pinch of salt, and it would be a sensational transfer should Mbappe and Coutinho swap clubs - a deal that won't happen anytime soon considering Mbappe is still technically on loan at PSG. It makes for interesting reading though and perhaps suggests all isn't right behind the scenes at PSG, even if this outlandish transfer suggestion never comes to fruition. You can read the full report here.